Cars are an important part of our lives now and it is almost impossible to see ourselves getting from point A to B without having a car or even without having any transport routine. For every vehicle that is running and working on the road, there lies and important and essential value that they are manufactured and made up for. For an automotive machine to run and function, it is important that they should have a battery that could last long and work efficiently. Without battery an automotive is more like a piece of junk than anything else. Most of the people, who own a vehicle or have worked with these know how vital these batteries are for an engine to work and many times, it gets overloaded or either too bad to function that you don’t have a choice but to replace it with something else. Automotive batteries require carefulness and attention both in order to work the way you want them to work and have in the better shape and movement for a long time. If you don’t apply maintenance tips and techniques for the batteries, they would most likely die out before you know it and you would have to spend a considerable amount of money to purchase a new one. Air conditioning of the car greatly affects the batteries of the vehicle and it relates to how they function properly as well. Remember when you aren’t using the air conditioning, it is better to switch it off so the extra power is not being consumed and your battery life is being saved up. If you are using a weaker battery, this strictly implies to the car and you have to apply this tip no matter what because the load on the battery is going to cause it to shut down. All the electronic components that you have installed in your car work from the battery that you put in and make sure you use all of the in a sufficient and balanced amount. Keep checking your battery that you are using for the automotive often, at least once every week because this is going to highlight any changes or problems that might have occurred in the first place and you can still save it from getting poor in condition. 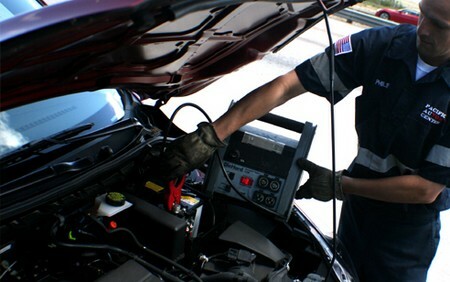 Check for any rusting or any foreign material being accumulated into the battery so you could remove it right away.